What to do if you can't find trinkets for specific word? Make them yourself! That's what I did in the new farm set. The quilt is hand sewn from 100% cotton fabric. Well, I realized that x-ray is a great solution, as it can be customized to any theme! Funny little pig is illustrated by me, printed and placed in a clear pocket to protect it, just like a real x-ray. 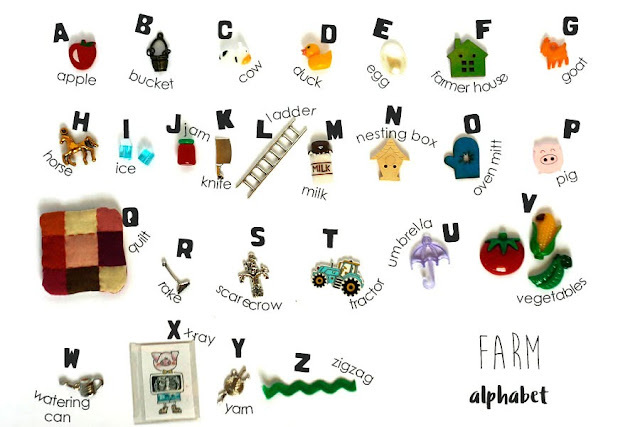 Farm themed I spy trinkets for alphabet I spy bag/ bottle, learning abc's games, kids crafts and more. 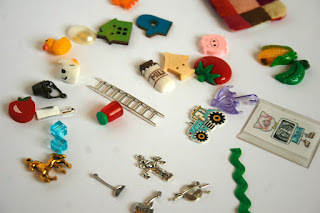 Most trinkets are mix of charms, beads, buttons, miniatures, cabochons made of metal, plastic and wood, along with handmade pieces made of fabric and paper. 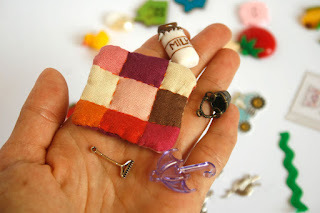 Quilt is hand sewn with 100% cotton fabric and polyfill stuffing. X-ray print made from original tomtoy illustration.